SwiftDivorce.net announces the release of a new set of articles intended to provide divorcing couples with helpful information to save them money. Most people that are new to divorce only know about it from television and have their world shattered when divorcing couples actually start going through court proceedings and hear the cost of lawyers for the first time. It’s no secret that since the 1950s, divorce rates have continued to skyrocket. People believe that there are many different factors involved, but that doesn’t change the fact that divorce is often costly, given legal expenses and the splitting of assets. The team at SwiftDivorce.net has come up with some helpful advice to ease divorcing couples through the process and help them settle the affair in the most cost-efficient manner possible. SwiftDivorce.net is a site that provides free information and advice on how to deal with divorce, before and after the proceedings. The most crucial point that SwiftDivorce.net wants to get across is for people to remain civil to their partners. "They should look at the process and take the approach that both parties must remain respectful in order to come out of the courts with their money and dignity at hand." A spokesman for the site, Al Randy, gave a statement when he first announced the release of his new collection of articles. Following this philosophy that both parties should remain civil, SwiftDivorce.net has released some helpful articles that show couples how to save money while going through the divorce process as well. 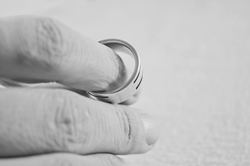 The problems are helpful in addressing certain aspects of divorce that most people have yet to consider, such as how it affects retirement and what factors play a role in awarding alimony to one partner or the other. Randy is certain the first-timers are bound to make mistakes both emotional and financial during such an extremely terrifying “gut-wrenching process.” However, the team at SwiftDivorce.net hopes that divorcing couples take advantage of the free advice and tips divorcing couples provide to help them maintain a healthy relationship with their significant other and ways to save as much money as possible through this very costly process. Divorcing couples can find even more information on their site and Randy and his team invite anyone who is curious about the details of the divorce process to give it a try.